Today a small, quiet settlement of 690 people, Mullan, Idaho was once a bustling mining town. 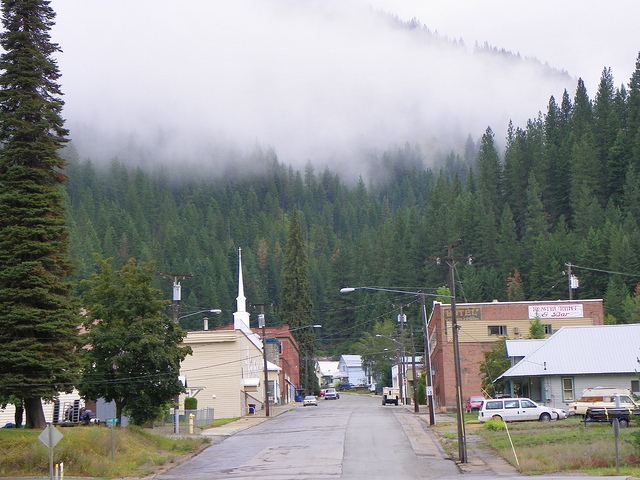 Located just four miles west of the Montana border, Mullan was established in 1884. The town was named after United States Army Captain John Mullan, who was sent to build a military road from Fort Benton, Montana to Walla Walla, Washington in 1850. The highest elevation of the road is seven miles outside of Mullan, at 5,168 ft.
Four men initially staked claims in the area that became Mullan. Joseph Hunter, Frank Moore, George Goode, and C.C. Earle spent the winter of 1884 there looking for gold. Gold Hunter Mine and Morning Mine broke ground and the town of Mullan bustled to life in between the two. It quickly became a welcome stop for pioneers heading west. The Northern Pacific railroad arrived in 1889. 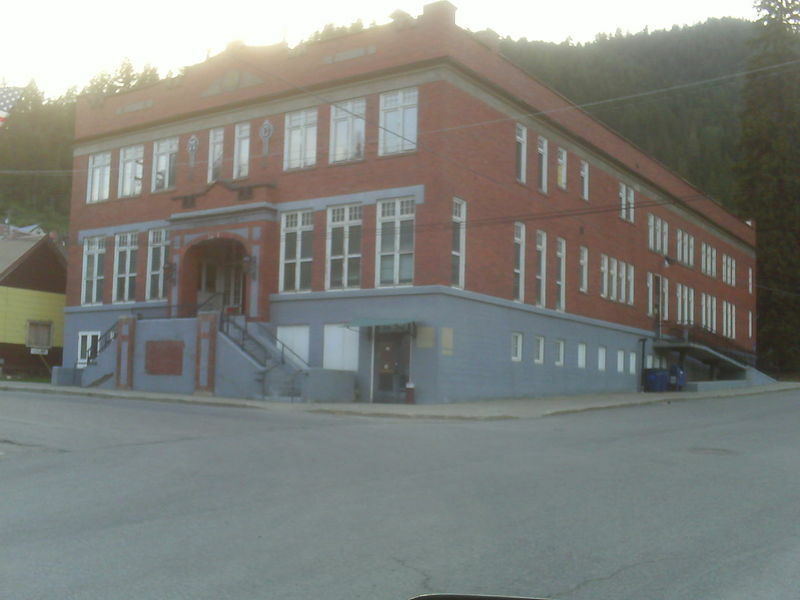 At its peak in 1940 2,300 people, mostly miners and their families, called Mullan their home. Mullan was the scene of considerable labor disputes. In fact in 1889 deputies, working at the behest of mine owners, arrested every single man in Mullan, putting them in a barbed wire bullpen in Kellogg until detectives could determine which were union organizers. During Prohibition Mullan was an important center for bootlegging, along the "Old Moonshine Trail" that brought Canadian whisky to thirsty Idahoans. The mines began to close in the 1950s, and the population has steadily shrunk since that time. Today Mullan has one remaining mine, the Lucky Friday. Tourists often visit the town to take advantage of abundant recreational opportunities and to see the sites of Mullan's romantic past. 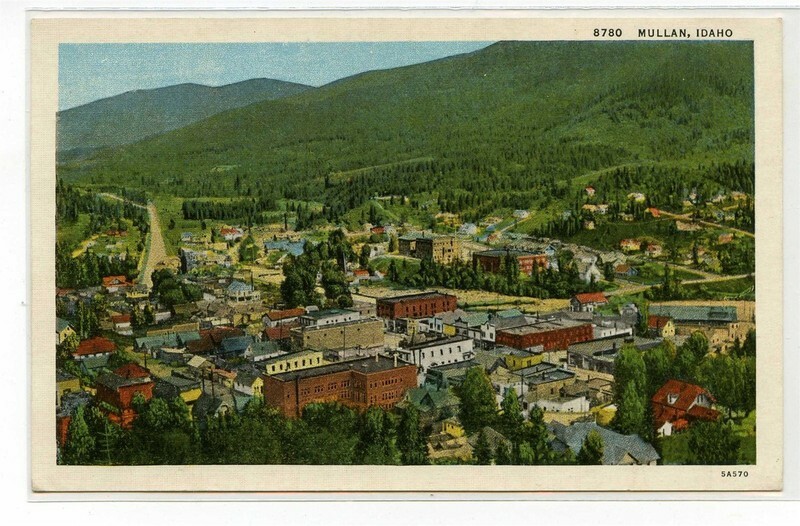 View of Mullan: This view of Mullan in the early 1900s shows the town near the peak of its prosperity. ~ Source: Image courtesy of the University of Idaho, Postcard Collection. , “Mullan, Idaho,” Spokane Historical, accessed April 20, 2019, https://spokanehistorical.org/items/show/490. "Biennial Report of the Board of Trustees of the State Historical Society of ... - Idaho State Historical Society. Board of Trustees - Google Books." Accessed March 13, 2014.http://books.google.com/books?id=7x0pAAAAYAAJ&pg=RA2-PA63&dq=Mullan+Tree&hl=en&sa=X&ei=hS4fU9LpAo7-oQSa1YLgBQ&ved=0CGoQ6AEwBw#v=onepage&q=Mullan%20Tree&f=false. "HistoryLink.org- the Free Online Encyclopedia of Washington State History." Accessed March 18, 2014. http://www.historylink.org/index.cfm?DisplayPage=output.cfm&file_id=9202. "Idaho - Bob Clark - Google Books." Accessed March 13, 2014. http://books.google.com/books?id=wtg71nn8eVYC&pg=PA167&dq=Mullan+Tree&hl=en&sa=X&ei=hS4fU9LpAo7-oQSa1YLgBQ&ved=0CEgQ6AEwAQ#v=onepage&q=Mullan%20Tree&f=false. "Mullan History." Accessed March 13, 2014. http://www.mullanmuseum.org/history.htm. "The Mullan Project - Mining History." Accessed March 13, 2014. http://www.narhist.ewu.edu/historical_media_workshop/sample%20web%20site/mullan_mining.htm.